Someone who opened the Los Angeles Times on this Sunday might be forgiven for wondering what had become of the world, for Page 1 was full of news about the demise of two religious leaders. 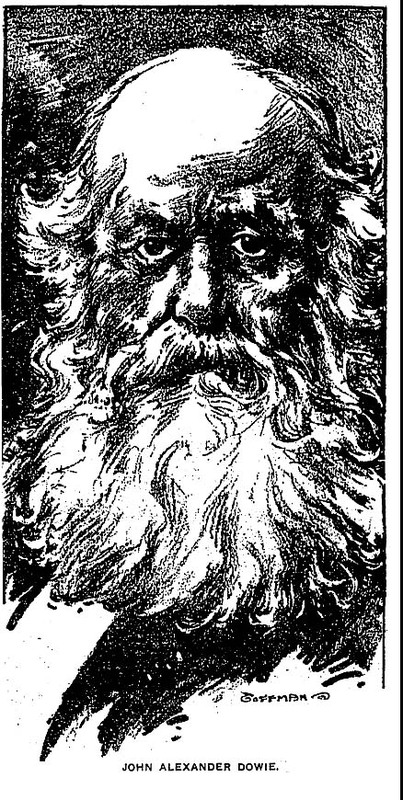 The first was the death of John Alexander Dowie, the founder of Zion, Ill., who considered himself the reincarnation of the biblical prophet Elijah. The second was the decline of Mary Baker Eddy, founder of Christian Science. Dowieâ€™s history is far more complex and even the highlights of his career defy an easy summary. He arrived in San Francisco in 1888 and moved to Chicago two years later. By 1899 he was mobbed by thugs while staging nightly crusades in Chicago after establishing a divine healing mission and opening a bank and newspaper. Five years later, he was paralyzed in Zion upon returning from a trip to begin a colony in Mexico. In 1906, he appointed a general overseer, Wilbur Glenn Voliva, who took over the movement and repudiated him.